News :: ICTs and Society :: What will be the next tech revolution? What will be the next tech revolution? Amazon is launching Echo Show, an assistant for your living room in the form of a speaker that allows a glimpse of the next leap in technology: machines we can talk to. In recent years, we have seen technology advance at a dizzying rate. From game consoles with cartridges we had to blow on to make them work, all the way to self-driving cars, there have been many technological advances in between. Some of these advances includes pocket mp3 players, computers, laptops and smartphones. Now, the Internet of Things has come, and it seems it's here to stay. Specifically, Amazon's latest venture is offering a future where a speaker, rather than the smartphone, is the key. 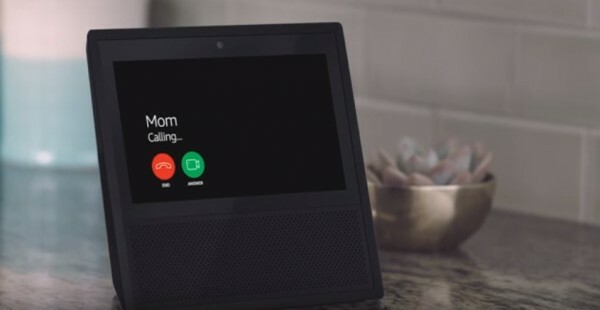 EchoShow is a speaker plugged into an outlet, with a touchscreen, designed for the user to make videocalls, watch Youtube videos, or control all manner of household devices. The new revolution in technology presents another improvement afforded by EchoShow: the ability to speak to the screen and see your voice input converted into video output. Imagine you ask EchoShow, “What are the best films out today?”, and the speaker responds by showing what you asked for in a video onscreen. The idea of this new advance is to substitute text with images. The device has yet to arrive in Spain, but will be available in the US on 28 June, for $299. Much like Apple's Siri, Alexa is Amazon' virtual assistant. Artificial intelligence is coming into our homes, and all it needs is a plug for electricity and a wireless connection. This is the trend for the coming years. If you would like to know more about the Internet of Things, you can click on the following link.